A gypsy charm gives essence to the Dasia bracelet. 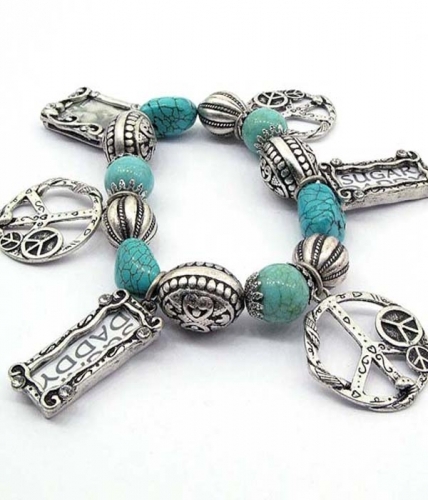 A simple design on comfortable stretch, adorned with turquoise-like beading, Tibetan silver, and a collection of charms. The perfect piece for layering.